This is a book I picked up on my holiday late last year in South Africa when I asked a bookshop owner for recommendations of South African authors. This one appealed (shall I be corny and say it ‘called’ to me?) because it’s set in a coastal town called Hermanus that I had visited on my first holiday in South Africa in 2003. It’s famous as the place where migrating whales come closest to the shore. Except that they didn’t when we were there….. Maybe we should have gone in search of the whale caller who is the main character in this book since he has developed a special rapport with one whale. It’s a strange book – I’m not sure yet whether I like it or not…. This is a departure from my usual reading matter. I’ve been reading it for background to my current passion for discovering the roots of my Irish great great grandparents. I know they were living in County Limerick but how they got from there to the iron manufacturing town of Rhymney in Wales is a mystery. I’ve been trying to get some insights via this book. It’s many years since I last read an academic book on history so it was slow going at times. The same week will be the June meeting of a book club I’ve rejoined. We’re going to be reading Wise Blood by Flannery O’Connor, an author about whom I know nothing. Anyone read this and can tell me what to expect?? I had a little indulgence while on my trip to the USA earlier this year and ended up with more new books than I could fit into the suitcase so had to ship some of them home. The US mailing system screwed up somewhere along the line so it took far longer than expected. By the time they arrived late last week I’d forgotten what I’d bought…. First of all three books I bought in a discounted store. I’ve read only Penelope Lively to date – her Booker winning novel Moon Tiger. It was a stunner so I’ve been on the look out for a few more titles from her. Family Album is her 16th book. As you’d guess from the title, Family Album concerns a family. In this case Alison and Charles who have established a seemingly perfect life in a restored Edwardian mansion. But when their six adult children return to the family home, their visit triggers a set of revelations and the unravelling of long-held secrets. This was a completely speculative buy since I have never read anything by Kunzru. I bought it on the strength of the synopsis. The central character is Mike Frame who appears to be the kind of dad that doesn’t stick out from the crowds. But Frame is really Chris Carver, a former member of an underground far left group that, in the 1970s, advocated violent action against the state and protested against the Vietnam War by setting bombs around London. Now a mysterious figure from those days has reappeared and wants to dig up Chris’ past. Last year saw me dip my toe in the waters of South African writing. Those novels proved to be some of the highlights of the year. Andre Brink is one author I’ve been aware of for some time but never got to read so when I saw this buried in a corner of the bookstore at the ridiculously low price of $1 I jumped at it. A Dry White Season is set in Johannesburg during the time of apartheid. It features Ben du Toit, a white schoolteacher who believes in the essential fairness of the South African government until the sudden arrest and subsequent ‘suicide’ of a black janitor from his school. His quest for the truth draws him into a world of lies and corruption which then engulf his own family. Sounds terrific doesn’t it? The New York Times certainly thought so, making it a notable book of the year when it was published in 1979. And finally, a book that I know only as a film and wouldn’t have thought about reading except for a discussion on the The Readers podcast which gave me the clue that the text of Breakfast at Tiffany’s could be far superior to the film. It’s only now looking at the book after a gap of more than 2 months that I realise this is really more of a short story at 87 pages long. In Cry, The Beloved Country Alan Paton expresses his love for South Africa and his fear for the future of his homeland. His anxiety proved prophetic. In 1948, a few months after the novel was published, the country’s governing National Party implemented the apartheid system of racial segregation which remained in place until 1994. Paton sees a deterioration in relations between South Africa’s white and black inhabitants which he believes may have reached a point of no return. While he populates his novel with white South Africans characters who exhibit enlightened attitudes to the country’s black population, he fears that by the time whites as a whole understand the injustices experienced by African blacks, it will be too late. South African blacks will have already reached an irreconcilable level of hatred. Cry for the broken tribe, for the law and the custom gone … cry aloud for the man and children bereaved. Cry, the beloved country, these things are not yet at an end. Paton uses multiple voices to dramatise the differing attitudes within the country and examine the causes for the breakdown. One of the factors he points to is the destruction of the tribal system and the failure to replace it with anything that had the same cohesive effect. Alongside the breakdown in human relationships, Paton points to a fracture in man’s relationship with the land they inhabit. The novel opens in the remote village of Ndotsheni, in the Natal province of eastern South Africa. It’s presented as an idyllic place yet by the second paragraph Paton’s tone has changed to show how the lush green of this setting is fragile. “Keep it, guard it, care for it, for it keeps men, guards men, cares for men. Destroy it and the man is destroyed”, implores his narrator. What Paton shows is how this appeal has been ignored and instead, the land has been exploited in the rush for gold. Its young people have deserted the farms, flocking to Johannesburg in search of work only to be sucked up by its noisy, polluted, over-crowded streets and exposed to prostitution, crime and destitution. 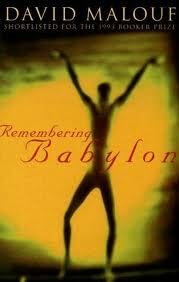 Paton relays his message through a dramatic rendering of multiple and dissonant voices and through individual stories. The novel homes in on one man in particular, Kumalo – a simple, devout Zulu clergyman in Ndotsheni who travels to Johannesburg to help his sick sister. While in the city he hopes to find news of his son and brother, both of whom disappeared after they left Ndotsheni for the city. What he discovers leaves him disheartened and alienated. He finds his sister living a life of prostitution and alcohol, his brother has become corrupted by a love of power and his own importance and his son is accused of being an accessory to the murder of a young white man campaigning to improve conditions for black Africans. Kumalo sees evidence everywhere of the breakdown of community and values, of the exploitation of workers in the gold mines and the gaping racial and economic divisions that are threatening to split his country. Returning to his village he begins a friendship with James Jarvis, a white farmer, the father of the murdered man. In his grief over his dead son, Jarvis re-examines his attitudes towards the country’s black population and begins to act to improve life for those who live hear his farm. Together both fathers reach an understanding and they vow to build on the ruins of the tragedy. Cry, the Beloved Country is a novel of social protest but it is also a cry for one’s land, for justice and for hope. It’s as powerful now as it was when I first read it more than thirty years ago. A combination of announcements about some of the leading literary prizes and a some browsing of favourite bloggers’ sites resulted in a bit of a splurge on the book buying front this week. First up are two authors who came to my notice when they were named last week as finalists for this year’s Man Booker International Prize. Van Niekerk is a South African author who has been feted in her country in 2011 for her outstanding intellectual contribution to literary arts and culture through her poetry, literature and philosophical work. The Way of the Women was originally titled Agaat but renamed when the English translation was published. It went on to be shortlisted for the 2007 Independent Foreign Fiction Prize. The novel is set on a farm in the Western Cape of South Africa whose aged occupant Milla de Vet lies dying from a wasting disease. Paralysed she has to depend on another woman Agaat Lourier with whom she has a close but ambiguous relationship forged over half a century of apartheid in South Africa. Maryse Conde is a Guadeloupean author also named as a Man Booker International finalist. I was hoping to get one of her earlier and most acclaimed novels Segu but couldn’t find a reasonably priced and decent quality second hand one. So I settled for Tree of Life instead, reassured by a comment by Victoria at LitLove on my post about the prize, that she hadn’t been disappointed by any of Conde’s work. In this novel, Conde traces the personal story of how one Guadeloupe family rises from poverty to wealth over several generations. This has a wide range of settings, from Guadeloupe and Harlem, to the slums of Haiti and the exclusive enclaves of the Parisian upper class. The Folio Prize was the latest accolade for Akhill Sharma’s novel — last year it was selected as one of The New York Times Book Review’s 10 Best Books of 2014. It’s a semi-autobiographical work that documents the young life of Ajay Mishra, a child in a young middle-class family in Delhi. His father decides the family must leave the uncertainty of a country living under emergency rule for the ­prosperity of the West. 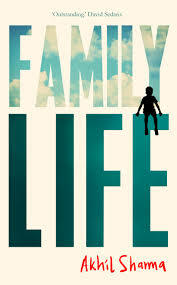 Settled in New York the family struggle to cope with a personal tragedy and the challenge to their idea of the American Dream. Prize announcements aside, my final two purchases were prompted by a guest post I published last year about Australian literature. 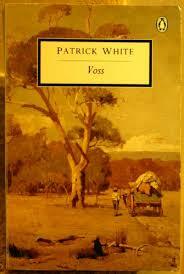 Whispering Gums mentioned many authors but I chose just two to begin with: David Malouf and Patrick White. This novel won the inaugural IMPAC Award in 1993 and was shortlisted for the Man Booker Prize and the Miles Franklin Award. Its the story of an English cabin boy who is cared for by Aborigines when he becomes marooned in the far north of Australia. Sixteen years later me moves back to the world of the Europeans, relatively new settlers who find their new home an alien place. What attracted me to this book was how its themes of living on the edge and of Australia as a fearful land reflect some of the ideas in the course on Australian literature I started a few weeks ago. That little haul should keep me quiet for a while…..